Torrent Search is the PUP that uses misleading techniques to prevent removal. Use Reimage to locate malicious components and get rid of them faster than with uninstall instructions. A full system scan blocks virus reappearance and prevents traffic to malicious domains. Torrent Search (alternatively known as TSearch) functions as a browser extension which supposedly assists users to find wanted torrents faster. All might seem fine and dandy except the fact that it has been classified as adware. Once you install the extension, TSearch icon appears on the top right corner (in Chrome browser). It integrates Torrenthunt.net into your browser toolbar as well. When you enter any torrent site, the search bar opens up. However, at the same time, the program installs multiple .dll files. Later on, it marks them as exclusions in Windows Defender. The fact why the program developers did not want for the security program to detect the files sparks suspicions. It is common knowledge that torrent cheat sites and programs often happen to be a veneer for malware. Consequently, it is likely that these files may only make your PC more vulnerable to virtual assaulsts. Furthermore, you cannot find the program simply by entering its name in the search bar. There are a few apps, which bear the same name, mentioned in the forums. For instance, TSearch_1.0.2 program is promoted. However, the latter also triggers doubts whether it is safe to download it. Alternatively, Torrent Search engine is available on Chrome Web Store. The extension has obviously poor ratings. There are other reasons why you may want to remove TSearch. Torrent Search performs shady activities in a background unrelated to torrent sharing. The adware is known traveling as an add-on to other free programs. 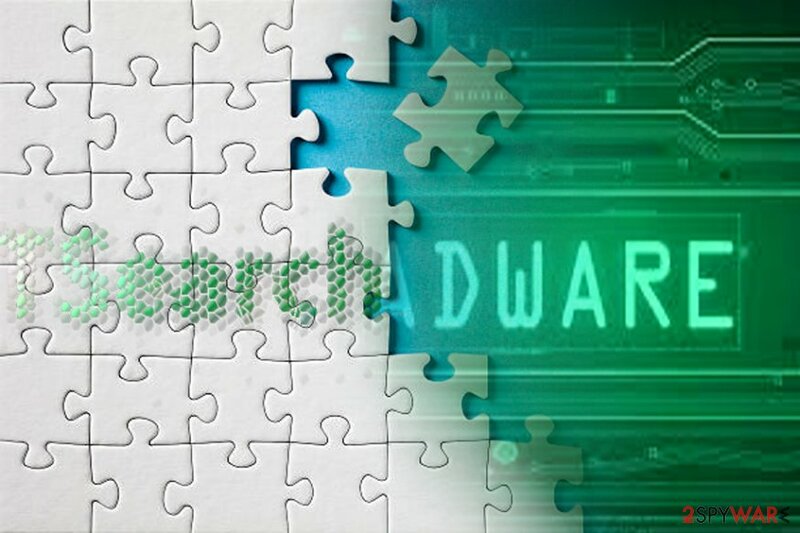 Therefore, in order to prevent TSearch hijack, choose “Advanced” rather than “Express” or “Recommended.” Unmark all optional programs. Only when you are sure that no unnecessary tools will be installed, proceed with the installation. Alternatively, the adware is also promoted by individual users in forums and torrent-related sites. If you tend to download torrents, bear in mind that the outcomes of malware invasion may significantly outweigh the entertainment of a downloaded game, movie or program. First of all, delete the extension. If eliminating it did not delete torrenthunt.net from the browser, opt for the manual elimination. Automatic Torrent Search removal saves time as well. It will locate all web scripts. Update the program and scan the device again. It is necessary to eliminate associated registry entries. Later on, uninstall programs associated with the adware. In order to remove Torrent Search completely, manual instructions prove to be useful. This adware does not only spread in English but in French sites as well. If you have multiple browsers, uninstall TSearch program, its extension from all browsers. Even if the icon is not visible, scan the browser with a cybersecurity app. Here, look for Torrent Search or any other recently installed suspicious programs. Wait until you see Applications folder and look for Torrent Search or any other suspicious programs on it. Now right click on every of such entries and select Move to Trash. When in the new window, check Delete personal settings and select Reset again to complete Torrent Search removal. Once these steps are finished, Torrent Search should be removed from your Microsoft Edge browser. Here, select Torrent Search and other questionable plugins. Click Remove to delete these entries. Now you will see Reset Firefox to its default state message with Reset Firefox button. Click this button for several times and complete Torrent Search removal. Here, select Torrent Search and other malicious plugins and select trash icon to delete these entries. Click Reset to confirm this action and complete Torrent Search removal. Here, select Extensions and look for Torrent Search or other suspicious entries. Click on the Uninstall button to get rid each of them. Now you will see a detailed dialog window filled with reset options. All of those options are usually checked, but you can specify which of them you want to reset. Click the Reset button to complete Torrent Search removal process. ^ Keith Collins. Hackers stole information on Windows vulnerabilities from Microsoft in 2013. Quartz. Technology news and insights. ^ Torrent Search Engine. Chrome Web Store. ^ Julie Splinters. Clicking on Taboola ads leads users to a scam site. 2-spyware. Security and spyware news. ^ Eliminate computer threats. Lesvirus. Security news in French. This entry was posted on 2017-10-27 at 08:22 and is filed under Adware, Viruses. You can quickly scan the QR code with your mobile device and have Torrent Search manual removal instructions right in your pocket. How did you remove Torrent Search?